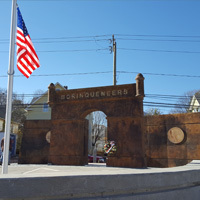 New Britain celebrated the opening of the Borinqueneers/65th Regiment Memorial Park on Veterans Day. TO Design is proud to have contributed to the design of this site. 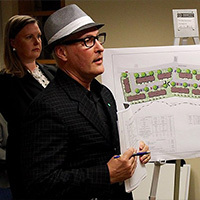 Due to the diligence and hard work of TO Design and the design team, new housing projects are moving forward with the CHFA and DOH funding application process. 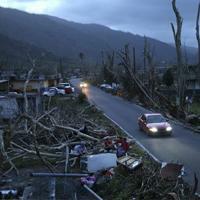 TO Design donated the the Hurricane Maria relief fund. Here's how you can help too. 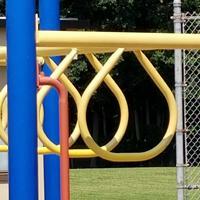 TO Design is excited to announce the award of a new project: renovation of the Toquam Magnet Elementary School playgrounds in Stamford, CT. Considering TO Design's passion for creating meaningful and stimulating play spaces for children, this project is an important win for us. A few weeks ago, Taylor Richards joined the TO Design team as the new Marketing Assistant. 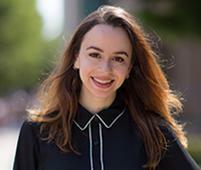 She comes to us as a recent graduate of Southern Connecticut State University where she earned her Bachelor's of Science in Journalism. Taylor will be responsible for the firm’s communications, social media presence, and website management. Read more about her in our employee page here! 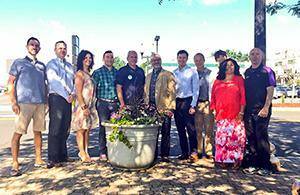 Twelve planters line Bishop's Corner in West Hartford thanks to donations from TO Design and other local businesses. This donation marks our 21st act of charity as part of our 30 for 30 years campaign to aid our community. This past Tuesday, the City of New Britain celebrated Memorial Day. TO Design did our part to remember those brave military servicemen and women who made the ultimate sacrifice in protecting the freedoms of our country. 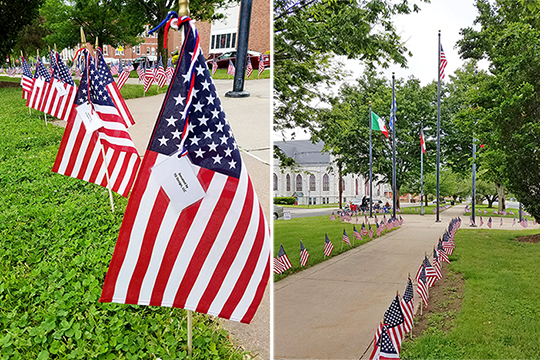 In honor of our Veterans, we purchased 30 flags from the Suburban Women's Club of New Britain in support of their annual "Flags on the Green" campaign. They were placed in the Franklin Square Green for Memorial Day, and later donated to local Veterans’ organizations. 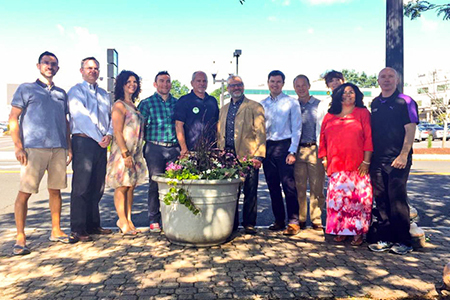 In support of our 30 for 30 campaign, TO Design, LLC teamed up with the Consolidated School District of New Britain (CSDNB), to design, build, and install a learning garden at Holmes Elementary School. 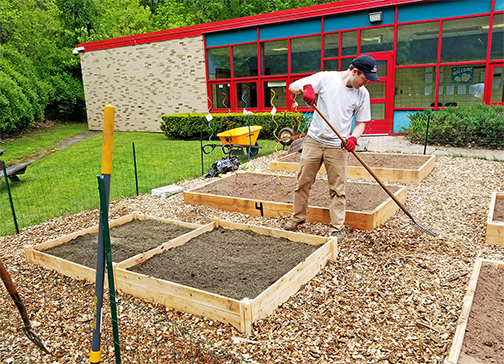 This past Friday, TO Design staffers Jon Tunsky and Kerrine Catucci executed Phase II of the Holmes Elementary School Learning Garden in New Britain. As part of the master plan effort, they assisted school staff in constructing one raised garden bed. Later in the month, they will teach the kindergarten students how to plant vegetables, as well as the importance of caring for their garden. 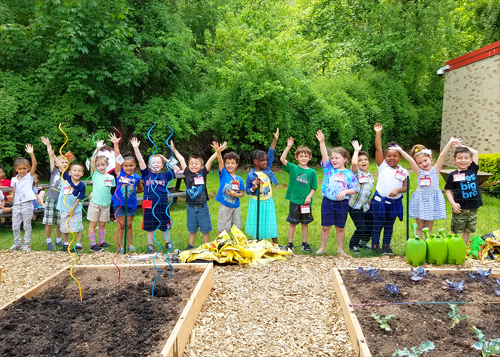 TO Design is proud to help educate children on the importance of healthy eating, while connecting them to nature! 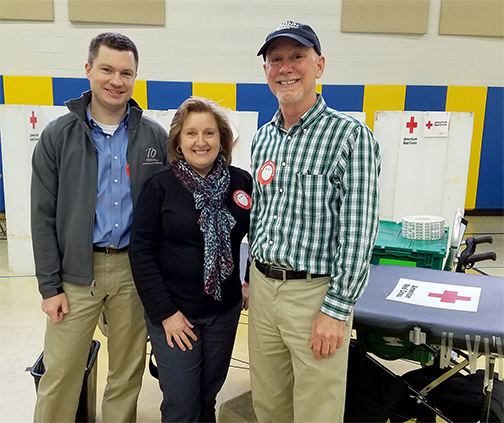 Yesterday, Phil, Jon and Mary gave back to the community by participating in the blood drive held at St. Joseph School in New Britain. Thank you to the American Red Cross staff who made the process simple, easy and painless. According to the American Red Cross, every two seconds someone receives a unit of blood, so the need is constant. TO Design was proud to do our part to help those who are in need!